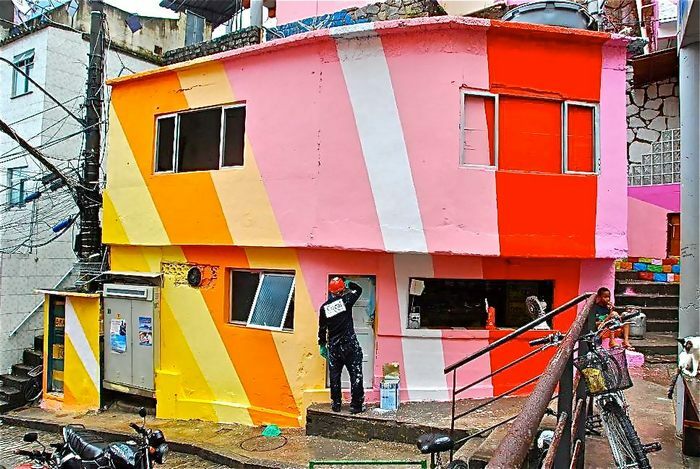 Sequestered within the city of Rio de Janeiro, two men are giving the poor, compact community of Santa Marta a radiant makeover. 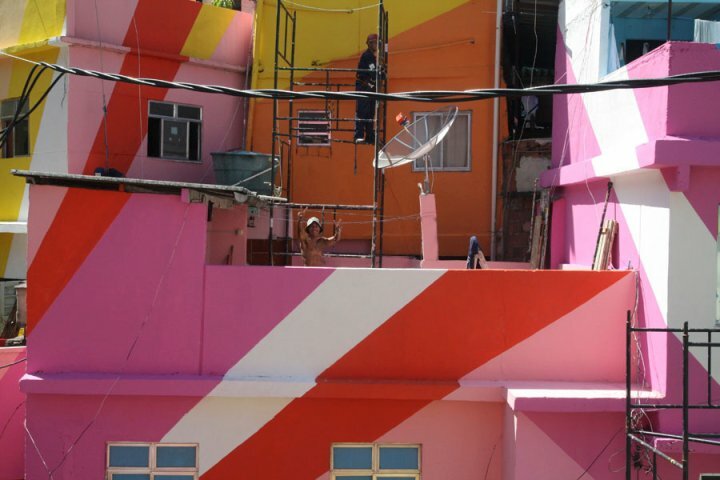 Jeroen Koolhaas and Dre Urhahn originally came to the favelas of Brazil in 2005 to film a documentary about hip hop for MTV, but after MTV left, they decided to stay. 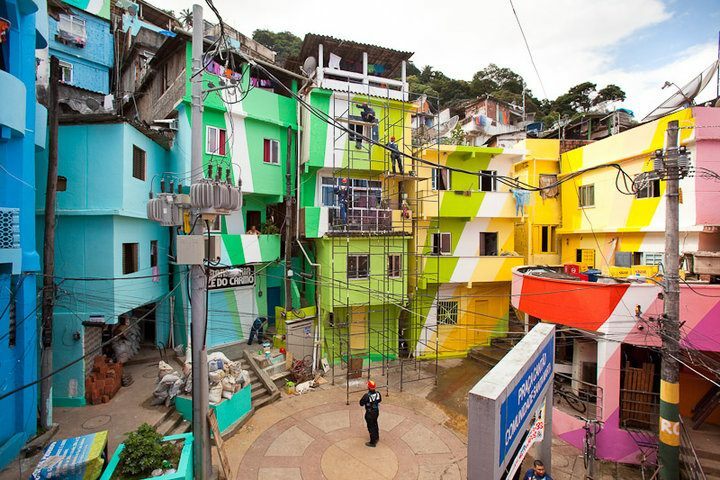 Soon after, the Dutch duo known simply as Haas&Hahn began Favela Painting, an organization dedicated to bringing “outrageous works of art to unexpected places.” And if you think they’re doing this on their own accord, they aren’t. 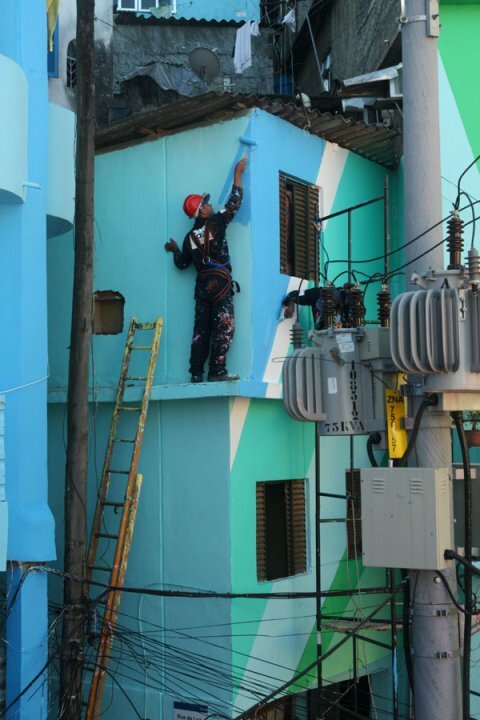 Local youths are employed as an integral part of their various projects. 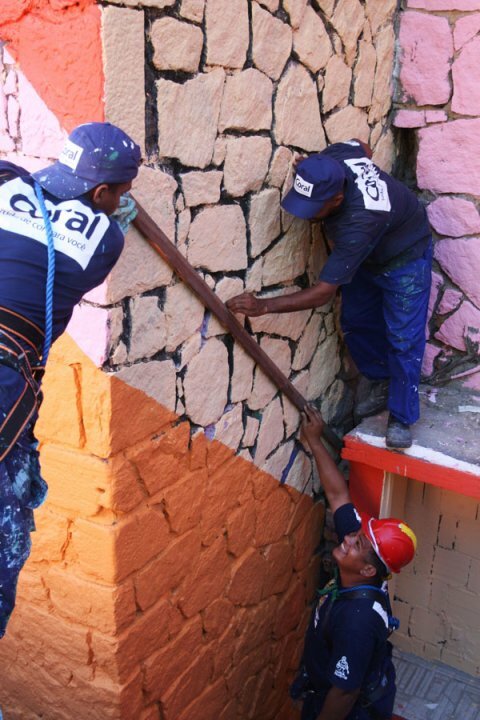 This is they last project in Santa Marta. 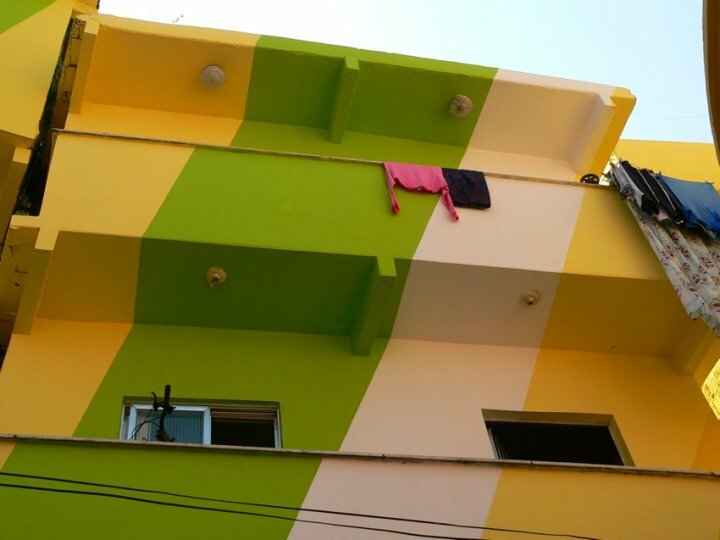 Approximately 7000 square feet, spread over 34 houses. 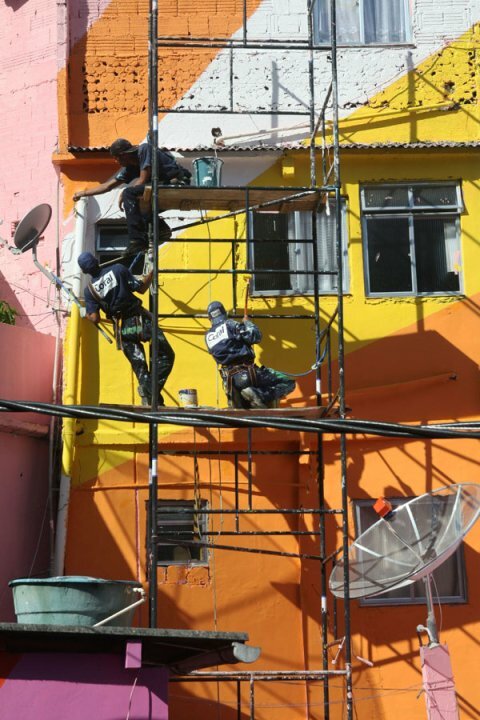 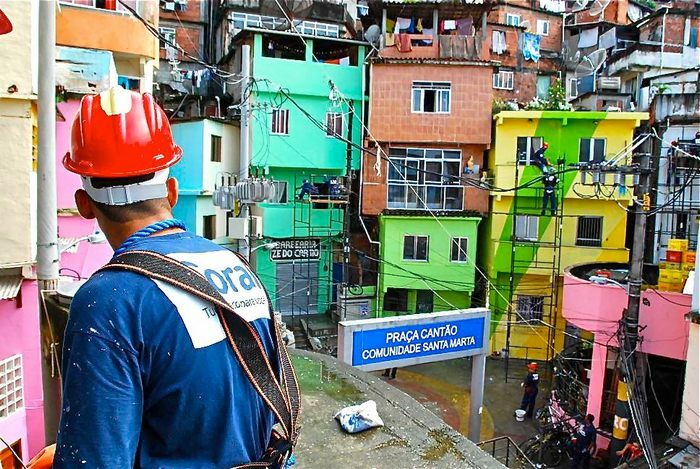 It is a bit idealistic to expect that this project will improve the living conditions of favela residents, but the fact is that at least gives a better picture of reality.